Turkish and Russian patrols are set to begin in Idlib province, the last stronghold held by rebels in Syria, as part of a deal agreed last year. The launch of the operation on Friday marked a significant sign of cooperation between Ankara, which backs the rebels, and Moscow, an ally of Damascus. Turkey‘s Defence Minister Hulusi Akar told state-owned Anadolu news agency that the move followed an agreement made in September last year. According to the deal, Russia‘s forces will patrol on the edge of rebel-held Idlib province while Turkish army will operate in the demilitarised zone. “There were restrictions on the use of Idlib and Afrin regions’ airspace but these have been lifted from today,” Akar said, adding that the patrols marked “an important step for the continuation of ceasefire and maintaining stability [in Idlib]”. He separately warned the government of Syrian President Bashar al-Assad against violating the truce in Idlib. 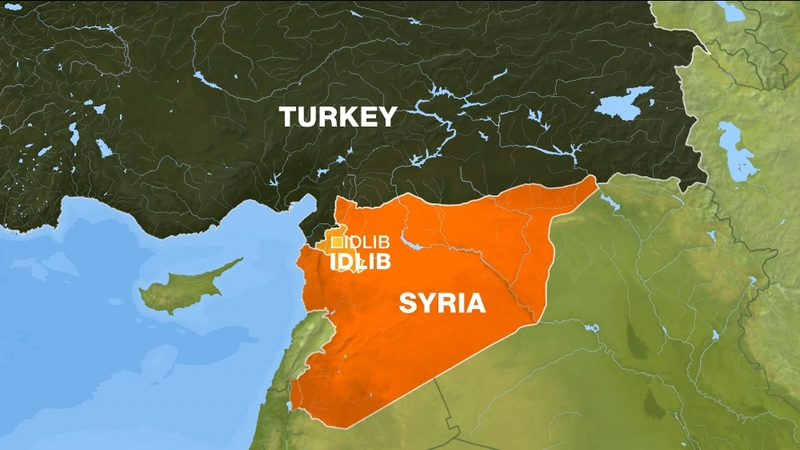 Al Jazeera’s Sinem Koseoglu, reporting from Istanbul, said Akar tried to draw a picture of what could happen if the ceasefire in Idlib was broken. “It is an overcrowded area. At least 3.5 million civilians are said to be living in Idlib. Akar said if the situation escalates in Idlib, these people are going to flood not only Turkey’s borders but also Europe,” she said. Idlib is the last major area held by rebels in Syria and is controlled by Hayat Tahrir al-Sham (HTS), which took administrative control of the whole region in January. Last year, Russia and Turkey reached a deal to establish a demilitarised buffer zone in Idlib, a move that prevented a major Syrian government offensive there.